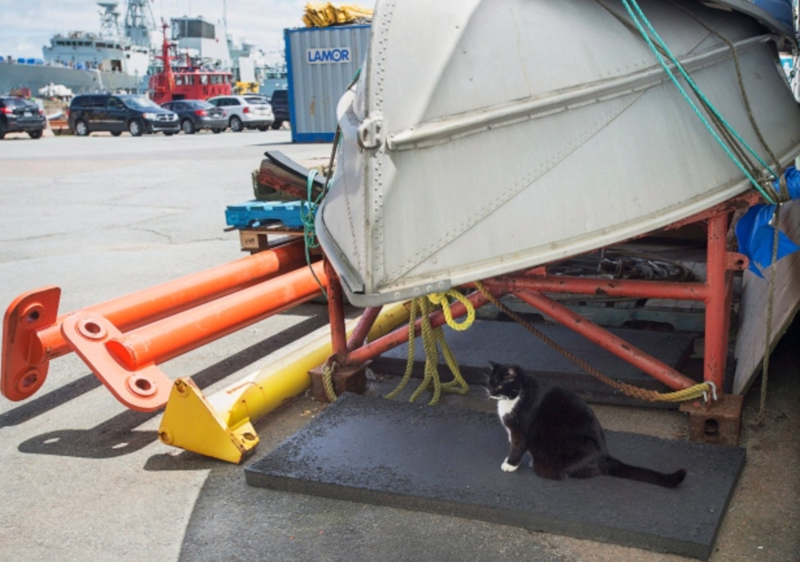 Pierre Filiatreault is known as the Catman of the Halifax naval base, where he has been caring for his crew of 20 amazing feral cats since 2005. 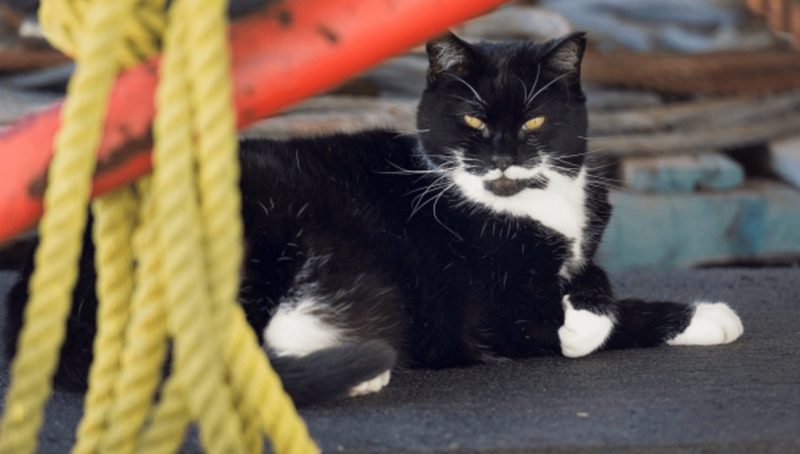 Pierre Filiatreault is known as the Catman of the Halifax, Nova Scotia naval base, where he has been caring for his crew of 20 amazing feral cats since 2005. “The cats are part of my life now,” Pierre told the CBC News. 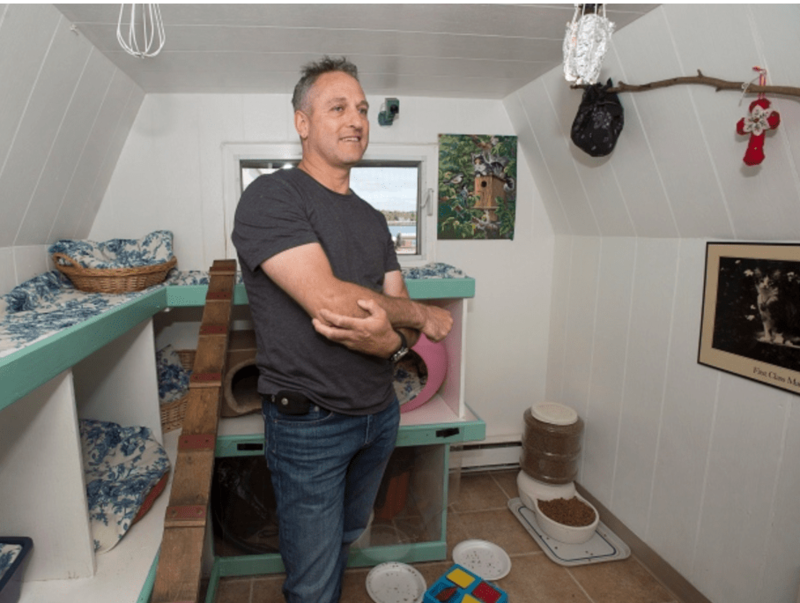 “As you feed animals, you get attached to them,” he said, standing in front of a cat shelter that overlooks the Halifax harbor and where the cats can go to escape the cold and sleep on comfy beds. The HMC Dockyard is home to Canada’s East Coast navy, including frigates and the submarine HMCS Windsor. Pierre is a former chief petty officer fist class who retired in 2009 after serving 31 years in the navy. In 2005, he started to trap, neuter and return the cats to keep the population under control, and it’s working. No kittens have been born at the base in the last nine years. And his handsome crew of felines, known as the dockyard cats, are living long and healthy lives. They are fed daily and like to scamper up wooden planks Pierre has attached to the side of buildings, allowing them to navigate from an upper roadway to an oceanside docking and loading area. 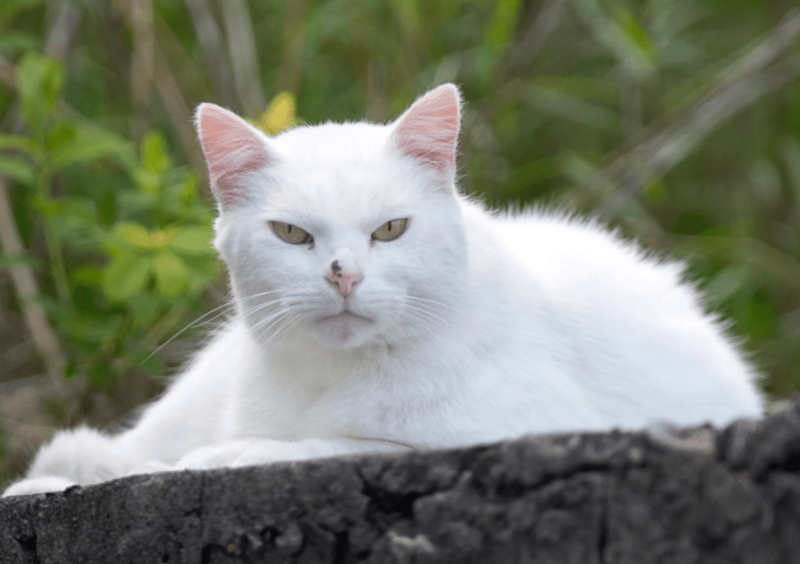 Each cat has a name — such as Placid, a pure white cat with yellow eyes, below, and Black Chin, a Tuxedo cat, pictured at top — and will come to Pierre and his wife, Paola, when called. His wife gives them treats, including ground beef and chicken. They respond to three languages, according to the CBC report: French, Italian, and English. He feeds them every day and provides them with medical care, such as vaccinations. 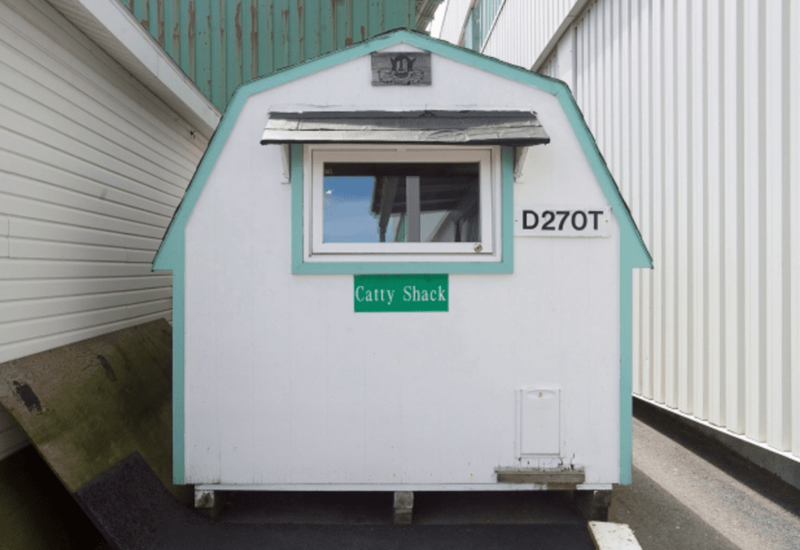 You can sponsor at dockyard cat by visiting Pierre’s Alley Cat Society online, a registered charity. You’ve Just Left the House Then THIS Happens! What a wonderful man, the world needs more people like him!